“PAW Patrol Live! Race to the Rescue” will stop at New York City’s Theater at Madison Square Garden from Thu., March 23, 2017 through Sun., March 26 as a part of its premiere tour. 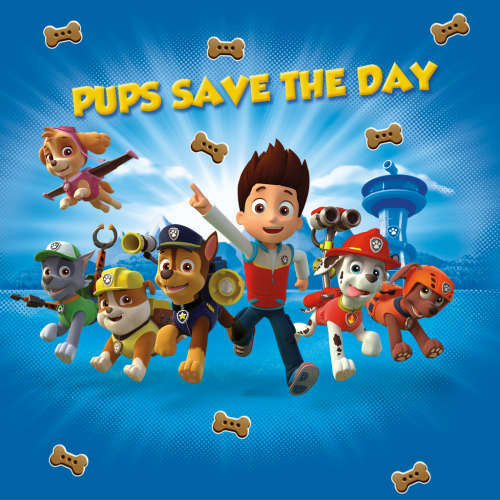 The music-filled adventure features more than a dozen characters from the hit animated preschool series “PAW Patrol” live on stage. The show combines classic theatrical scenery along with a high-tech video wall to visually transport families to popular locations from the TV series, like Adventure Bay, The Lookout, Seal Island, Farmer Yumi’s Farm and Jake’s Mountain. --Thursday, March 23, 2017 at 11 a.m.
--Friday, March 24, 2017 with shows at 11 a.m. and 5 p.m.
--Saturday, March 25, 2017 with shows at 10:30 a.m., 2 p.m. and 5:30 p.m.
--Sunday, March 26, 2017 with shows at 10:30 a.m., 2 p.m. and 5:30 p.m.
Tickets go on sale on Fri., May, 20 at 9 a.m. and will be available through Ticketmaster Charge By Phone (1-866-858-0008) and all Ticketmaster Outlets. Tickets are available in person at MSG, Radio City Music Hall and the Beacon Theatre Box Offices beginning Sat., May 21, 2016.